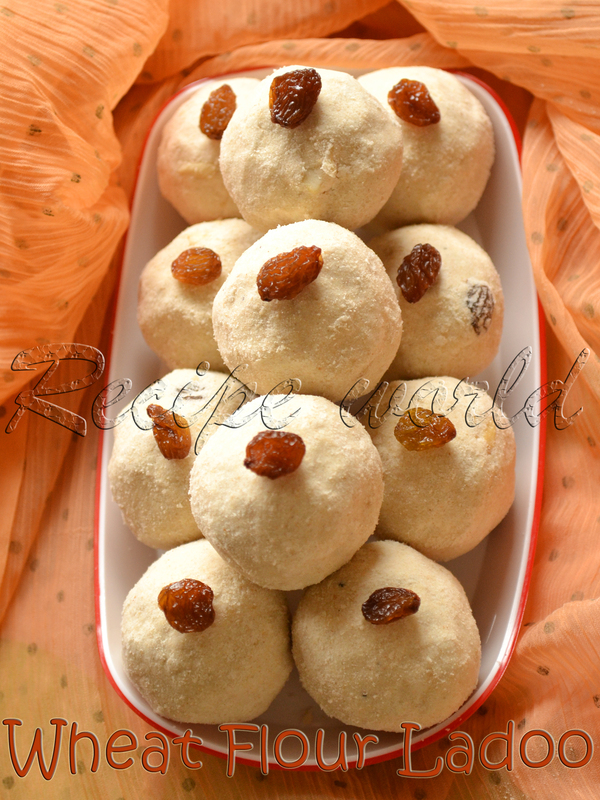 Wheat Flour Laddu is one of my favorite sweets from childhood. 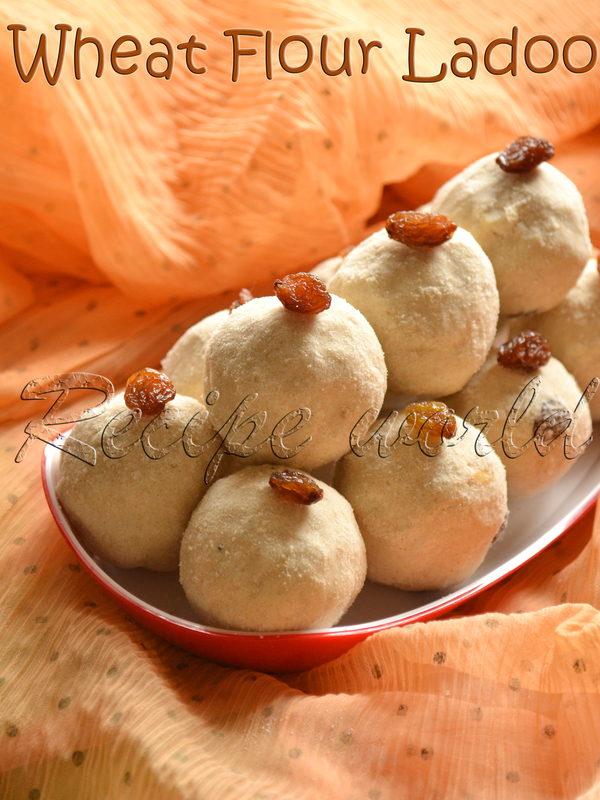 There is one more method to prepare Wheat Flour Ladoos where we need to make the sugar syrup. Anyways, I love to prepare Ladoos with powdered sugar which is simple and quite easy! 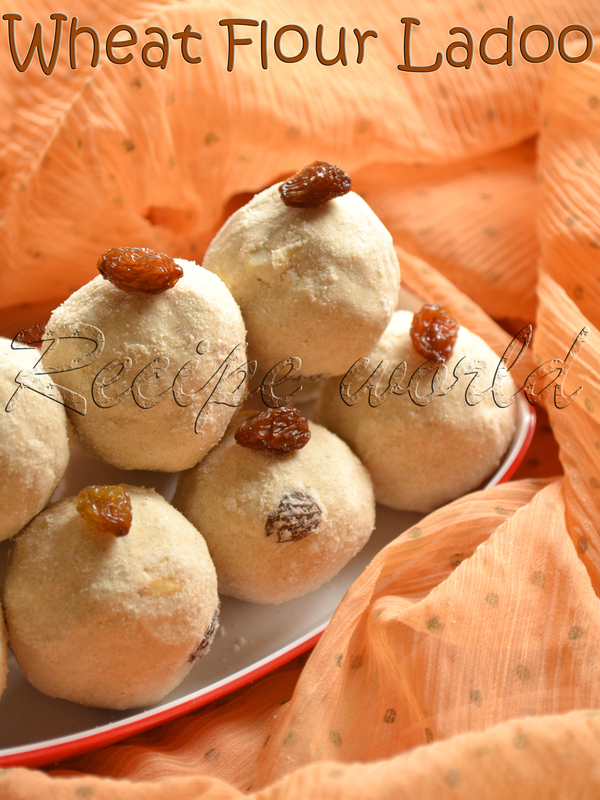 Try these yummy ladoos and enjoy with your family.. Melt the ghee in a heavy bottom pan. Add the wheat flour and broken cashews. Toast it on medium or low flame till you get a nice aroma. Turn off the flame and allow the mixture to cool down. In the meanwhile, make a fine powder of cardamom and cloves and keep it ready. You can powder them along with sugar to make it easy. Once the roasted mixture is cool, add powdered sugar, cardamom - cloves powder and raisins. Mix it nicely and make sure that everything is combined well. Take small portions of mixture in your hands and make lemon size balls. Store them in an airtight container and use as required. If the ladoo mixture looks too dry and you are not able to make the ladoos, add 1 - 2 tsp of heated ghee and mix well.